Rashid Centre for Disabled celebrated Rashid Cultural Season, the centre’s best annual event this year in a grand way with aplomb and enthusiasm at Jumeirah Beach Hotel in Dubai. Cultural Season celebrated the release of ‘Glimpses of Mohammed bin Rashid Al Maktoum Tweets’ – the much awaited book containing the humanitarian tweets of Sheikh Mohammed bin Rashid Al Maktoum, UAE Vice-President, Prime Minister and Ruler of Dubai. Glimpses of Mohammed bin Rashid Al Maktoum Tweets is published in several different languages and also contains photographs of paintings of His Highness’s tweets which were transformed into art by artists who participated in Rashid’s Dubai International Art Symposium. The honors of the event were carried out by HH Sheikh Ahmed bin Saeed Al Maktoum, Chairman of Dubai Airport, Chairman & Chief Executive Officer of Emirates Airlines Group and Chairman of Rashid Centre for Disabled and HH Sheikh Juma bin Maktoum bin Juma Al Maktoum, Acting Chairman Rashid Centre for Disabled. Mariam Othman, Director General of Rashid Centre for Disabled said, “Sheikh Mohammed is the perfect role model for humanitarian initiatives and his tweets were symbolic of his humanitarian thinking”. She added, “Glimpses of Mohammed bin Rashid Al Maktoum tweets should be read by anyone and everyone in order to be part of the humanitarian effort”. The Twitter Mascot “blue bird” decorated the venue. Paintings of His Highness’s tweets were on display and there were several cultural themed performances. The event closed with a lavish dinner. 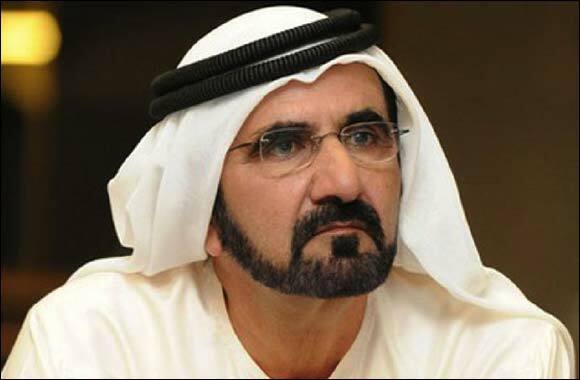 Sheikh Majid Al Mualla, Board member of the centre praised Sheikh Mohammed as a leader and said his tweets set a guiding example for present and future generations.